The world’s data now doubles in volume every two years. We’re living in an Age of Data fed by the Internet of Anything. Life in the Age of Data is always-on and always-connected with easy access to incredibly rich sources of analyzed information coming from the Internet, mobile devices, servers, machines, sensors, and so on. Every business will have the ability to use this data to convert yesterday’s impossible challenges into today’s new products, cures, and life saving innovations. Right now, the leading pharma, automotive, electronics and packaged goods companies are already building their factories of the future around the actionable intelligence from this kind of data to do things like improve manufacturing yields. And older industries like automotive, agriculture and retail are catching up by taking modern data architectures on the road, through the field, or to the cash register to do things that were before been possible. The power of big data is fundamentally changing the delivery of healthcare. Efforts such as the White House’s Precision Medicine Initiative aim to revolutionize how the United States improves health and treats disease. Businesses also use actionable intelligence from big data to fight fraud, viruses and identity theft, and new open source projects like Apache Metron are changing how we think about cyber security technology. With all that is happening today, I can’t wait for tomorrow and be part of the movement to a bright future with data shining the way. Getting to the age of data, did not just happen overnight. Before was the Age of RDBMS led by Oracle, and the Age of Web led by Linux, Red Hat, Apache Software Foundation and the Apache HTTP Server. With the emergence of Apache Hadoop in 2006, the Age of Data was born with the Apache Software Foundation playing a key role yet again. Now 100% of businesses say they will adopt Apache Hadoop and its ecosystem of projects such as Apache Hive, HBase, Spark, Kafka, Storm, NiFi as the center of gravity for a modern data architecture. In the Age of Data, open is simply the norm, and Hortonworks philosophy has always been predicated on open innovation, open community, open development, open delivery…a fully open approach. With our IPO in 2014, we proudly became a public bellwether for the Age of Data. Since our business is built on open source, we’re frequently asked the question “but can an open source business model really scale?”. The proof is in the results. Since a picture is worth a thousand words, I’ve charted the earliest years of inflation-adjusted financial data for Oracle, Red Hat, Salesforce.com to provide some perspective. Noteworthy chart details: Oracle was founded in 1977, and in 1986 they went public and achieved $55.4 million in revenue (which equates to $111.4 million in 2011 dollars). Red Hat was founded in 1993, went public in 1999, and in 2001 achieved more than $100 million in inflation-adjusted revenue. Finally, Salesforce.com was founded in 1999 and in 2004 they went public and achieved about $100 million in revenue. In the Age of Data every business is a data business. Tomorrow’s leaders are already mastering the value of data to their organizations and embracing an open approach. We’re focused on powering the future of data with them by delivering a new class of data management software solutions built on open source technology. Whether from data at rest with Hortonworks Data Platform or data in motion with Hortonworks DataFlow, our connected data platforms help our customers tap into all data. We give the world’s leading companies and government agencies actionable intelligence to create modern data applications that were never before possible. Our open approach ensures we partner with our customers on their data journey. That journey can start by renovating IT architectures to reduce costs and boost functionality. Or it can start by innovating modern data applications that differentiate the business or open new revenue streams. We are thankful to our customers and partners for embracing the open approach and we vow to stay focused on their success while empowering the broader community in the process. Join us and be part of the movement to a bright future with an open approach leading the way. The post Living in the Age of Data preparing for the Future appeared first on Hortonworks. Welcome back to my blogging adventure. If you’ve been reading my Cybersecurity series; “echo: hello world”, “Cybersecurity: the end of rules are nigh”, and Cybersecurity: why context matters and how do we find it you know just how much time I’ve spent explaining why an integrated cybersecurity analytic solution should focus on delivering value and making the lives of the folks doing incident response easier. As I look across the landscape of security analytic offerings, I see walled gardens consisting of proprietary models and pretty dashboards. Yes, walled gardens are pretty, well maintained places to visit; however, we can’t live there because they don’t meet our needs. Our offices and living rooms are cluttered and organized around how we live and not some pretty picture in an interior design magazine. I believe that a real cybersecurity solution should aim to reflect our work spaces; functional and configurable to how we want to work and not some engineer’s idea of what’s best for us. Today, we will go over a high level conceptual architecture for a practical cybersecurity analytic framework that works for us by adapting to how we do business. Before we dive in let’s give the 100,000 foot overview of what the conceptual architecture looks like. The critical path in the architecture is the red arrow in the middle. We need to take raw sensor data and reliably generate an automated response. Like our messy living room or office; it is the output of the work and not the pretty picture that provides value. If the analytic models and response rules can make that call for response then no pretty dashboard is required. Why build in a big red button for the SOC analyst to click if an invisible response is faster? The sensors component is the data ingestion point of all machine data in the company and acts as the interface to the data flow. The critical path starts here. Automation and remote management of these sensors allows for efficient operation and flexible response mid-incident if greater data volume or fidelity is required. I foresee a shift from niche security products towards sensors embedded in our application architecture; as monolithic applications transform into as-a-service cloud enabled components, our security controls must transform along with them. This is where the system provides maximum value. Regardless of whether the analytical models & rules, or the workflow and manual review through the user interface triggered the response event, automation of the response activity is part of the critical path. The automated response provides the automation interface to the rest of the company’s assets for command and control. Again, I foresee a shift from specialized security products towards automated response components embedded in our application architecture. These embedded sensors and response components will give a new, truer meaning to data centric security in the internet of anything. Data is stored in the data lake for historical analytic replay as new knowledge becomes available is a key advantage in this approach. In addition, this data is available for training models regarding normal and abnormal behavior, and allowing the simulation of new automated response capability. The ability to demonstrate with actual data that a new automated blocking capability, when replayed over the last three years of collected data, wouldn’t have caused negative impact to business operations is necessary in gaining approval for implementation. Enrich and correlate information into full context events for either automated response or manual review. After the analytic models have transformed the raw data flowing through the system into enriched data elements that are both descriptive and predictive in nature the rules engine applies the company’s prescriptive rules or policy on how those events need to be handled. This is critically important in allowing an organization to apply their own risk tolerance to the response process. Similar to rules in that they allow the company to configure solution to meet their needs. Workflow allows the company to configure the incident response steps and automated response in a manner that enables the business instead of the business bending around the solution. This multi-user/multi-tenant workflow engine allows for cross organization response to be configured. In addition, by being part of the analytic solution, key performance and risk metrics can be collected to: measure the health of the process, allow for security analyst performance review and on the job training, and make the work visible in a manner that shows the value to the organization as a whole. This is the layer that provides visual interface elements that visualize data. By refactoring these dashboard elements away from the user interface, we enable each user to create their own user interface experience and provide a consistent visualization of the data across user interface displays for efficient cognitive uptake of information. The post Open Community Innovation appeared first on Hortonworks. I’ve said it before and I’ll say it again, we are OPEN, we are PUBLIC and we are PROUD. Hortonworks Data Platform is 100% open source. Hortonworks Data Flow is 100% open source. Apache Metron, the incubating cybersecurity effort Hortonworks is stewarding, is 100% open source. Our strategy remains committed to 100% open, our products are 100% open, Hortonworks breaks down silos pushes boundaries and enables the entire ecosystem to flourish and innovate. Will we collaborate with other companies that offer proprietary software? Absolutely. Do we offer proprietary software? Not at all. There’s been a lot of chatter about who we are and what we do in the last few days. Guys, sometimes a headline is just a headline. The post Addressing the Elephant in the Room appeared first on Hortonworks. Bill Porto, Senior Engineering Analyst, RedPoint Global Inc. If we want to deliver a real cost advantage for the enterprise with machine learning, there are larger, mission-critical issues to address. These issues focus on model choice, viability horizon, practical design alternatives, learning from on-the-fence model factors, and opportunities for automating access to changing data and netting-out error and noise. This April at the Hadoop Summit in Dublin, I am delighted to have the opportunity to share with you how continual, adaptive optimization is the key to maintaining a leadership position in satisfying customer demand. As senior analytics engineer at RedPoint Global, I’m focused on developing automated business optimization software that incorporates evolutionary optimization, neural networks, and a host of other non-traditional machine learning techniques. Hadoop Summit Europe 2016 provides a great opportunity to share my experience in machine learning and Big Data with attendees who want to really move ahead with their own machine learning mastery. I’m looking forward to showing how to apply predictive modelling and optimization to harness the full power and potential of your data at the Hadoop Summit Europe 2016. The post Community Choice Winner Blog: Machine Learning in Big Data – Look Forward or Be Left Behind appeared first on Hortonworks. I want to thank those of you who voted for my proposal and I look forward to meeting many of you in Dublin. I’ll be around for the conference and would gladly welcome any follow on conversations. I am currently a Director of Big Data engineering at Capital One. Capital One is a leading consumer and commercial banking institution conducting business in the US, Canada and the U.K. I have over 18 years of IT and business experience and I spent the last 5 years of my life Hadooping and more recently Sparking and Flinking! I enjoy evangelizing Big Data technologies by speaking at Big Data events and maintaining a blog and a Knowledge Base on many Apache projects: Hadoop, Spark, Flink… With some fellow squirrels, I also run Apache Flink Meetups in New York City, Chicago, Washington DC, Dallas/Fort Worth, Boston and Paris. My session is an introductory level talk about Apache Flink: a multi-purpose Big Data analytics framework leading a movement towards the unification of batch and stream processing or stream processing-first in the open source. With the many technical innovations Apache Flink brings along with its unique vision and philosophy, it is considered the 4 G (4th Generation) of Big Data Analytics frameworks providing the only hybrid (Real-Time Streaming + Batch) open source distributed data processing engine supporting many use cases: Real-Time streaming, batch, machine learning and graph processing. 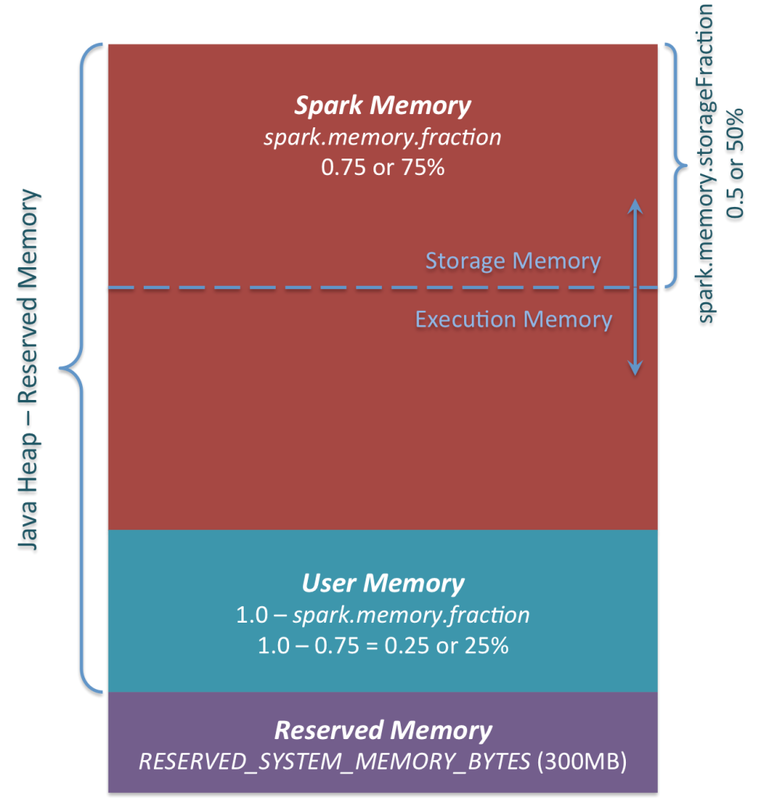 What is Apache Flink stack? Its streaming dataflow execution engine, APIs and domain-specific libraries for batch, streaming, machine learning and graph processing. How Apache Flink integrates with Hadoop and other open source tools for data input and output as well as deployment? Why Apache Flink is an alternative to Apache Hadoop MapReduce, Apache Storm and Apache Spark? How Apache Flink is used at Capital One and who else adopted Apache Flink? Where to learn more about Apache Flink? 2015 Big Data Scala By the Bay, San Francisco, US: Why Apache Flink is the 4G of Big Data Analytics Frameworks? I would like also to suggest slide decks of a few talks, which I gave about Apache Flink, at http://www.slideshare.net/sbaltagi. My talk is an introductory talk open to technical and non-technical people alike. I look forward to meeting you at the Hadoop Summit that will take place in Dublin, Ireland in April 13-14, 2016. The post Community Choice Winner Blog: Overview of Apache Flink – The 4G of Big Data Analytics Frameworks appeared first on Hortonworks.